This illustration is a simplified look at what cloud computing truly is. 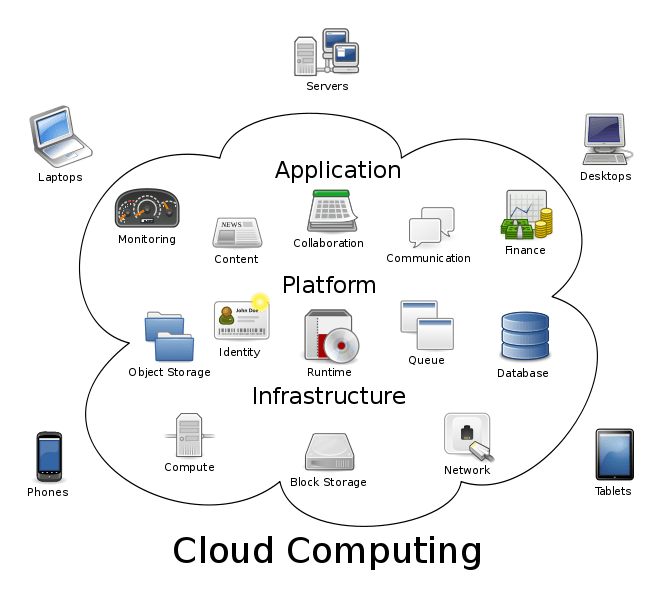 The term “Cloud Computing” is a mainstream term but the majority of the population doesn’t really know what the cloud is and how this technology solution applies to them. For more information about what is Cloud Computing and the different Cloud Solutions available today, please follow the links on this page and contact a member of our Technical Team at (949) 699-6619 or Contact Us.